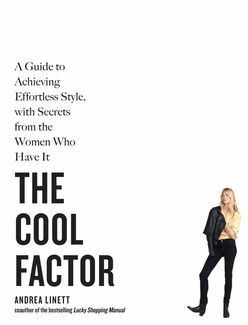 Trendsetter Andrea Linett has that rare ability to distill fashion talk into advice that everyone can follow, and in this book she shares the style wisdom she’s gathered over years of working in the fashion industry. Here is only the content that matters—wardrobe classics, leather, denim, suits, dressing in black and white, dressing up, getting the right fit, layering, accessories, and hair. Linett’s fashion philosophy is illustrated through precise tips and photos of women who do it right, and from them we learn how to develop personal style. Did you think a “Canadian tuxedo” (denim on denim) was an absolute faux pas? Not if you pair the right shades of denim and dress it up with some serious heels. Were you under the impression that your hair should get shorter with age? That rule no longer exists. Do you want to know how to wear black and white pieces together without looking like a cater waiter? The black and white chapter is filled with some ingenious examples. Finally, Linett rounds out the book with checklists, including must-haves for a hardworking wardrobe, how to breathe new life into old pieces, how to make a trend your own, and how to make sure everything you buy actually fits. A photo-heavy style guide packed with actionable, easy to implement tips from a fashion guru.